As Outside Sales Manager, Dan oversees sales efforts and strategies for MKT’s representatives. He works directly with other department managers to ensure our values and goals are portrayed in all regions of MKT influences. While managing MKT’s territory representatives, he also acts as a Regional Representative, covering the Central and Northeastern territories. With years of hands-on material and industry experience, Dan applies his skills with a technical focus for relationship growth. 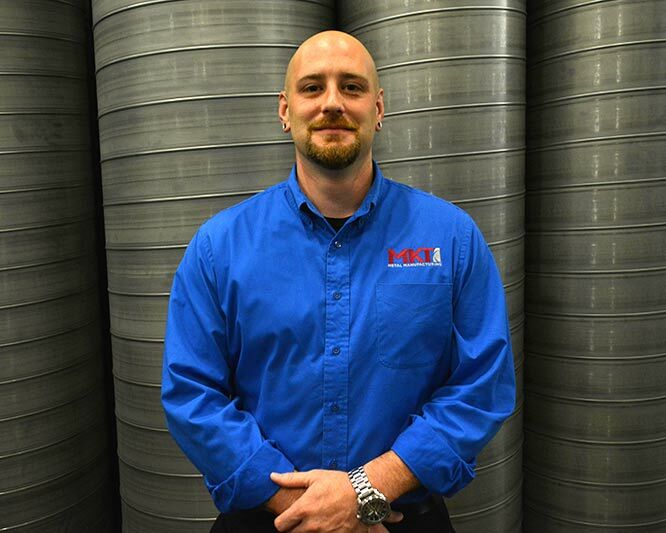 He is a certified welder, Journeyman in Sheetmetal Working, and continues to grow his education through business, sales, and management courses. In Dan’s free time, he can be found working on his cars or enjoying time with friends and family.